But I had no idea just *how exciting* it is to be here and participate in the very real arts, local food, and social justice renaissance that's going on in South Carolina. I wake up every day stoked. And then I make a cup of locally roasted fair trade coffee and get all up in it! 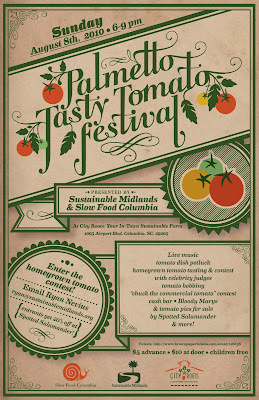 Co-creating and co-producing the recent new non-profit tomato festival here in Cola, SC was such a blast. Man, it was a lot of work, but I truly loved working with my fellow co-planners: Ryan Nevius, head of Sustainable Midlands; Kristen DuBard, head of Slow Food Columbia, and Eric McClam, City Roots farm manager. Talk about some excellent people: brilliant, driven, passionate and highly effective organizers/implementers/leaders who are also laid back, fun-loving, and light-hearted. Rad! 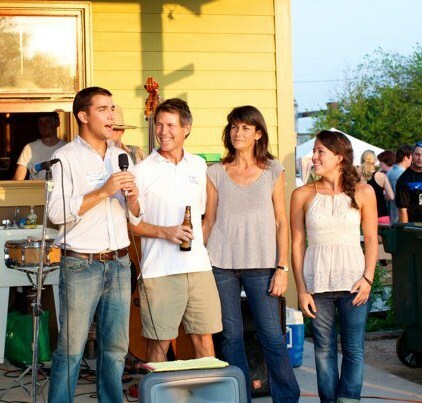 On Sunday, August 8, 2010, close to 500 sustainability-minded, local tomato-loving guests gathered at City Roots Farm in Columbia, SC to celebrate sustainably grown local food and backyard farming. 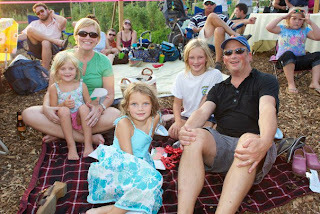 It was a fantastic gathering and we can't wait for the next one, scheduled for high summer 2011! *Eat, drink and be merry on the farm! At the first-ever Palmetto Tasty Tomato Festival on Sunday, August 8, 2010, the multi-generational crowd enjoyed a side-by-side tasting of commercially bred vs. locally grown heirloom tomato varieties sourced by Rosewood Market and donated by Rodger Winn (with tasty baguette slices and centerpieces donated by Earth Fare), as well as a Homegrown Tomato Contest with local foodie celeb judges. 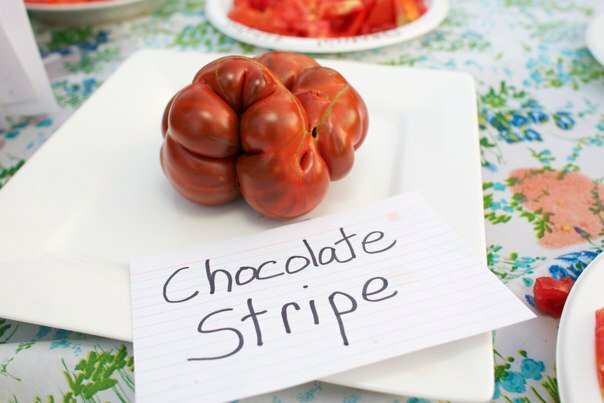 With its rich agricultural history, hot climate, and strong community of international heirloom enthusiasts, South Carolina produces some crazy looking, delicious tasting tomatoes. donation from Rodger's Heirlooms in Little Mountain. Live bluegrass music was provided very graciously by two fantastic local bands, Jack McGregor & Debbie Daniel of Slap Wore Out & their buddies (left), who played first, and The Plowboys (below right), who rounded out the evening. 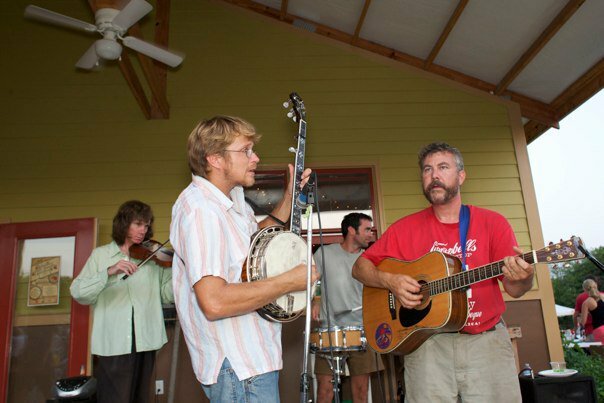 Nothing like some old-time tunes to put you in the mood for having fun on the farm, right? Folks went crazy for tomato bobbing (w/color commentary by Plowboys leader and SMOKE BBQ co-owner Tom Hall). 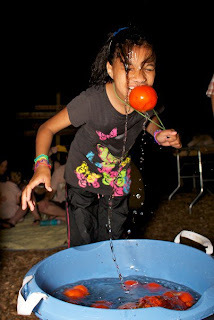 This young lady, who volunteers frequently at City Roots, was "like a piranha," it was proclaimed, in her tomato bobbing prowess! Local artist Amanda Ladymon and S&S Art Supply owner Eric Stockard celebrated their recent move to a Main Street storefront (a few doors down from the Nickelodeon's future Fox Theater home) by running a wonderful kids' art table. 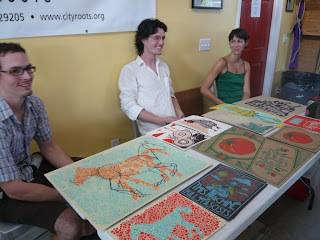 Meanwhile, local design/print superstars The Half and Half (chef/designer Thomas Jennings, firm co-principal Nick Wilson, and Thomas' cool lady Annie Ellis, pictured left to right) came and sold sets of heir tomato festival posters -- the art print versions! The limited edition run of 50 art print festival posters sold out within 3 days, but they should still have some of the ltd. ed. run of 100 small, square tomato art prints, all designed by Thomas. Other fave festival activities included feeding fish food to the 1500 farmed tilapia in City Roots' greenhouse (they should be large enough to sell to the public by December 2010 or so! 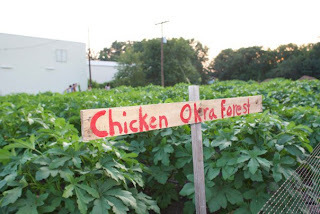 ), and checking out the "Chicken Okra Forest" -- where the farm's now-legal flock of hens live amongst a field of bushy, prolific Clemson Spineless okra plants. Plenty of festivalgoers whipped out their throwing arms for the wildly popular “Chuck the Commercial Tomato” skee-ball game. You could hear the "WHHHOMP" of tomatoes hitting their 5-gallon targets all the way from the Pole Bean Tee-Pee! Using 100% corn PLA compostable drink cups, the bar served SC-made Thomas Creek and RJ Rockers beers, sustainably packaged wine, NC-grown roasted peanuts from Cromer’s, and homemade Bloody Marys made with local honey, molasses, and spices by Brad Weeks (left) of Spotted Salamander catering (who swiftly sold out of their amazing tomato pies as well). 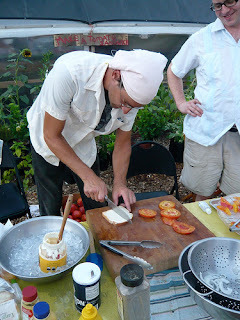 The Tomato Recipe Showcase potluck supper was a huge success, too – it was jam-packed with goodies and utterly delicious. Major thanks to key Slow Food volunteers like Debi Schadel, Lucy Willms and Chris Reid for keeping things in order in there and washing what seemed like a truckload of potluck dishes! 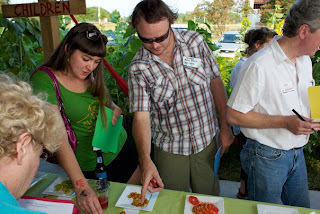 Huge thanks to other Slow Food, Sustainable Midlands and City Roots volunteers, without whom we really couldn't have pulled this off: Slow Food members Renee Johnson, Jana Fredericks and Claudia Seeger kept the tomato tasting table afloat witih 140+ lbs of freshly sliced heirlooms. The registration tent was staffed graciously by Slow Food Columbia Treasurer and board member Nancy McCormick, her daughter, and others like Slow Food member Katie Reid. The McGregor family and Tom Hall made sure we had P.A. equipment for announcements, music, and A/V; and Slow Foodie Christine Adair stepped in to take care of whatever had slipped through the cracks. Talk about some great Carolinians! Free Times photojournalist and food writer Jonathan Sharpe (left, with Chef Joe Turkaly, who brought a gorgeous ceviche for the potluck!) 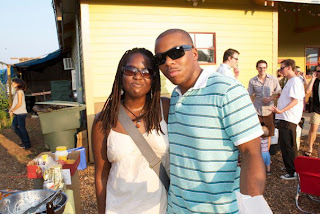 donated his time and his talent to document the festival, as did local photog (and PC College math professor!) Kara Shavo. Thanks guys! The suggested donation bar was manned by Brad Weeks, Ryan Nevius' terrific husband Barry, City Roots volunteer Megan Leppla and her rad Dreher Island ranger sweetie. Furthermore, City Roots farm manager/Slow Food board member Eric McClam put in a call to his brother, who very generously dropped everything and brought a team of friends to come and sweat it out over the beer coolers all evening. Thank you all so much! Jay's trusty colleagues, Tim Simmons of Thomas Cooper Library and Dickson Monk of BCL/Manly Publishing provided backup, comedy, and camaraderie. The festival was such a great way to honor our local green thumbs, farmers, chefs and foodies for choosing local, eco-friendly, organic, and socially just foodways. 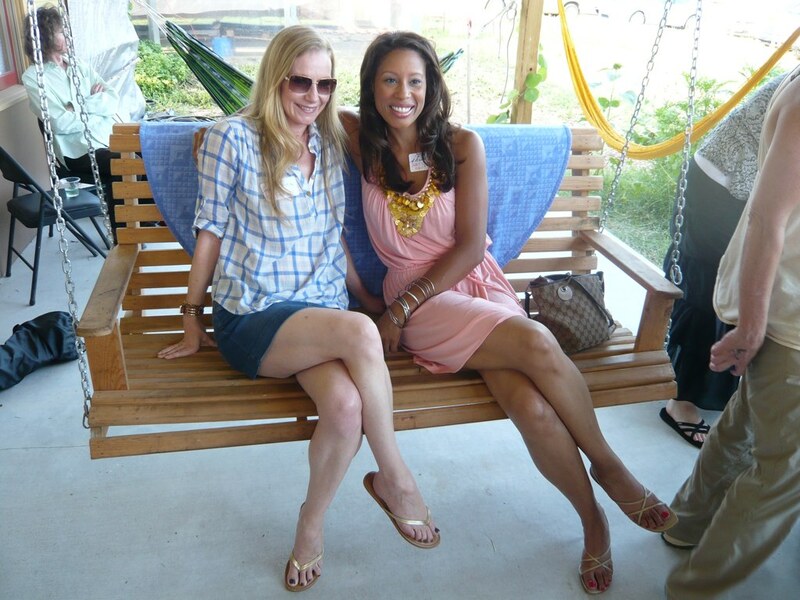 Have you met Kristen DuBard (right), Slow Food Columbia's new chapter leader? When the Cola chapter founder, the wonderful Cerelle Centeno, relocated to her hometown of NYC earlier in 2010, she tapped Kristen -- a Cola native, local farmer, mother of two, web content/IT specialist and all-around groovy lady -- to lead the nonprofit organization. 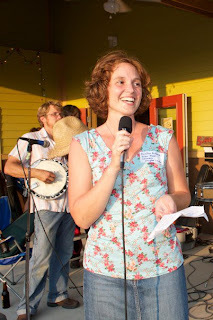 Come say hey to Kristen and other Slow Food Cola members at the monthly chapter meeting, held every 3rd Monday at 6:30pm at City Roots Farm! Awards were presented by festival founder Ryan Nevius (the esteemed head of Sustainable Midlands) for the best tomato grown by local gardeners in a number of categories. Motor Supply Co. GM (and big-time Slow Food supporter) Eddie Wales & his family, above, took 2 prizes for their tasty homegrown 'maters, including some black cherry tomatoes that got The Shop Tart hooked on black heirloom tomato varieties. Congrats, guys! 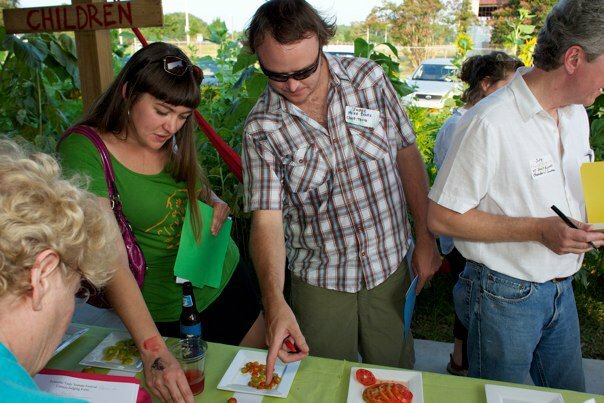 Thanks again to our local celeb judges who gathered to officiate the 2010 Homegrown Tomato Contest! And huge thanks to our amazing volunteers! You’re the best. Join/donate to/volunteer with Slow Food Columbia! 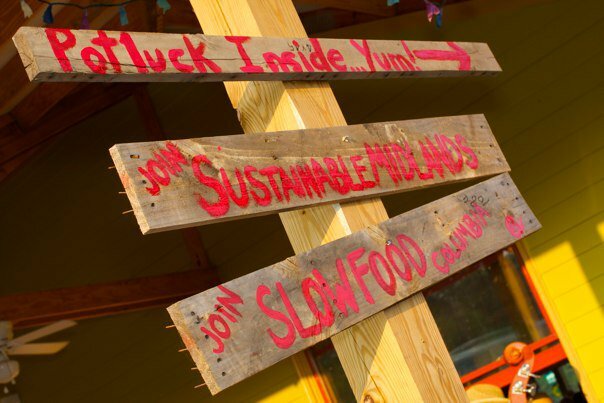 Become a member of the Columbia, SC chapter of the international non-profit organization, Slow Food, and join in the mission to support "Good, Clean and Fair" foodways in our local communities. The all-volunteer Columbia chapter is run via collaboration between the board, local Slow Food members, and volunteers like the fabu Anna Redwine and Claudia Seeger (right). Donate to/volunteer with Sustainable Midlands! This coalition of non-profit organizations in the Midlands provides education and facilitates communication among citizens and community leaders about creating communities that have clean air and water and support principles of sustainability. The coalition is coordinated by Master Gardener Ryan Nevius (left), in collaboration with the organization's steering committee and volunteers. Volunteer with City Roots Farm! The 2.8-acre urban farm, located next to Owens Field, produces sustainably grown products like farmed tilapia, microgreens and heirloom vegetables, while educating the community about the benefits of locally grown food, composting, vermicomposting and other environmentally friendly farming practices. The farm, inspired by Will Allen's Growing Power urban farm initiative in Milwaukee, WI, is owned and worked daily by the McClam family of Columbia, SC (right), in collaboration with Five Leaves Farm co-owner Ben DuBard and volunteers. 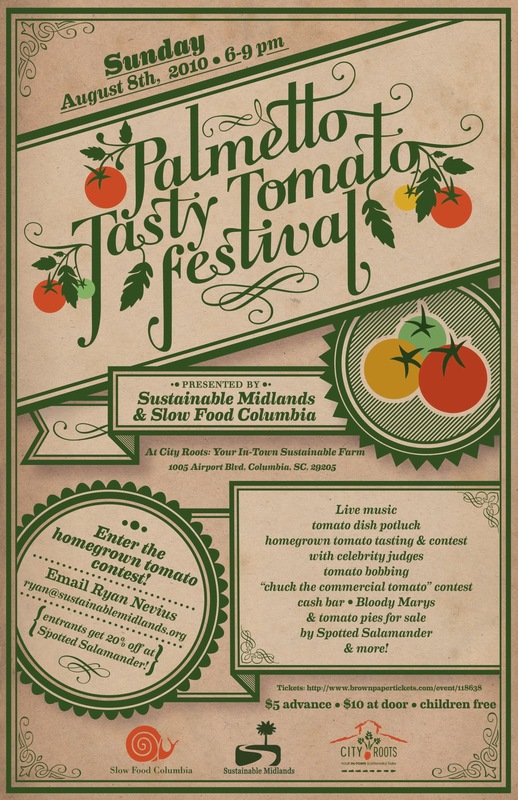 Got suggestions for event elements at next year's Palmetto Tasty Tomato Festival? Tasty tomato recipes? Comment below! And thanks again for your interest and support. 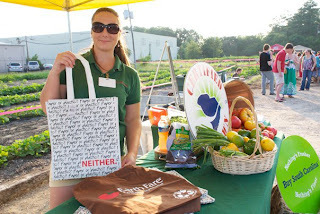 We love our wonderful, creative, conscientious food community here in South Carolina! Tracie, Rich and I had a blast at the festival-- despite the crazy evening heat. You guys -I mean y'all -did a fantastic job and I can't wait to see what's in store for next year! I just hope I have some tomatoes to enter. Thanks so much, Kim! Yeah, we're going to do the festival earlier in the summer (mid-July?) so that, despite the heat, at least folks will have more tomatoes on their vines! It was a GREAT event! I love tomatoes and had an opportunity to taste so many great varieties. What a wonderful time and learning opportunity! It's nice that you shared your experience. I think it's an amazing event and I hope it'll be greater next year. 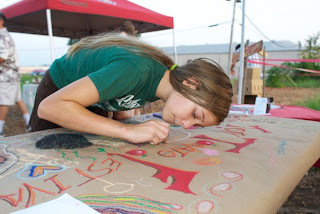 The beauty of such a festival is that you celebrate something which represents your community. It's a great experience to try different food and drinks made from tomato. You really had a great time on this event and it'll probably be even better next time. I can't wait for it to happen again. I do hope all the food businesses involved in this event are backed up by solid restaurant insurance policies. thanks for the sharing, keep it up guys !!! 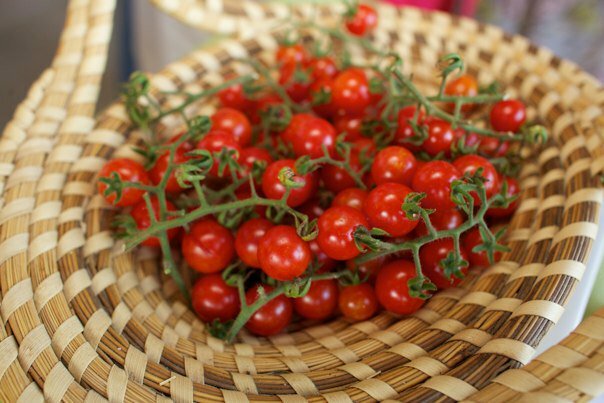 That's a successful and beautiful tomato festival out there. I am so entertained just by watching at the pictures. That's a very nice event you have there. I wished I had been a part of that festivity because I love enjoying games and social activities just like the event we recently had at Long Island wedding halls.